A new feature that lets you put up temporary profile pictures on Facebook with an expiration date of your choice is being tested - thumbs up from us! How often do your change your profile picture on Facebook? Probably not that often. It’s the one photo that will always be public. Most of us fall into one of two groups: the privacy paranoid (sometimes with excellent reason) who use inanimate objects or something that definitely cannot be identified, and the narcissistic ones who will pick an excellent photo that makes them look like Parveen Babi or Akshay Kumar, and stick with it. Why, of course, that’s me. Why do you ask? But every so often, there comes a social media movement that asks you to change your profile photo in solidarity. There was the ‘Save Gaza’ one. There was the complete black blank profile picture movement, though frankly, I can no longer recall what that was for. Every ‘Day’, like cancer awareness day or environment day, there’s something to change it to. To be honest, mine is still a rainbow-hued Gunnersaurus (Arsenal mascot). 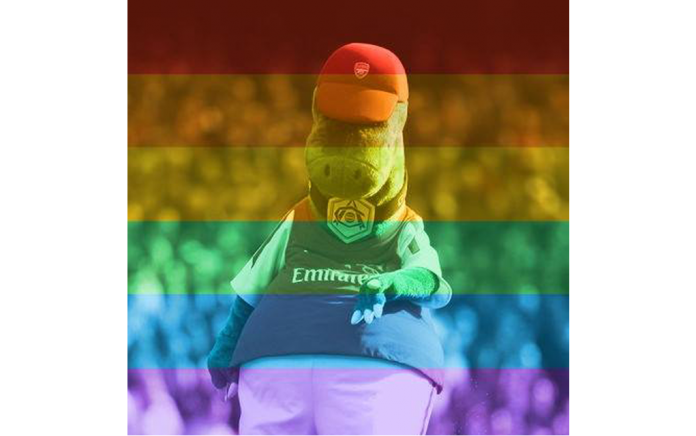 Arsenal fans had a ‘change your profile picture to Gunnersaurus day’, after which there was the rainbow profile picture in support of gay marriage movement. 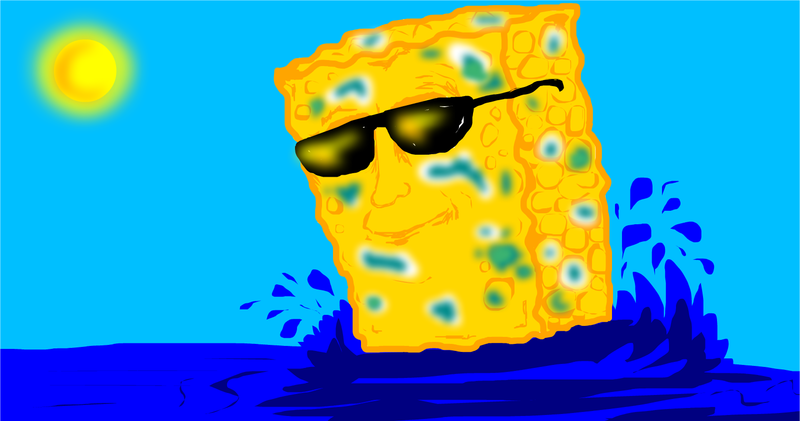 Changing your profile picture to something for a cause is an active thing. Changing it back when it’s done is different. Besides, will the rainbow one ever be done? If I change it back, does it mean I suddenly don’t care about it? Obviously, far too much soul-searching and internal questioning go into something that should be fairly trivial. This is why we heartily welcome the new update from Facebook, spotted by Techcrunch: you can set a timer on your profile picture. You can set a temporary profile picture on Facebook, and set its expiration date. This is currently being tested by a very small number of users, but apparently, you can set a temporary profile picture, for whatever amount of time that particular message is supposed to be relevant or highlighted. Once you get the feature, you will be able to set an actual expiration date on your profile picture! This means that you will not forever have a rainbow Gunnersaurus as your profile picture. 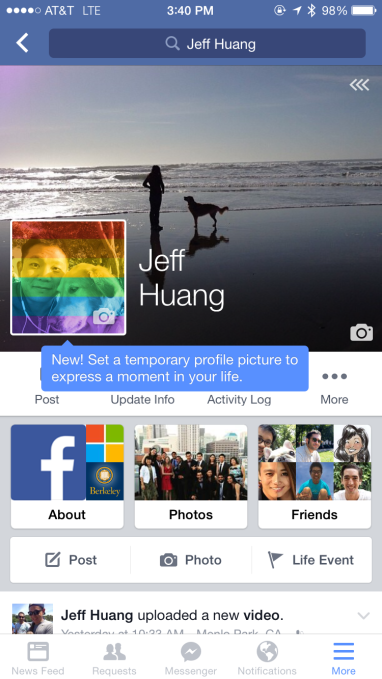 Once you get to the time you specify, your profile picture will default to your ‘permanent’ profile picture. You can still change that one just as you can now. You can set a temporary profile picture on Facebook, and set its expiration date. This isn’t just useful when there’s a Facebook movement going on. This is also an excellent idea for when you want to update your profile picture to let friends and family know about some kind of milestone in your life. If you choose this one for your birthday, please make it permanent. Is it your birthday? You can set a birthday photo as your temporary profile picture to change back at the stroke of midnight! Will you be at a graduation party for three hours? You can let people know that with just your profile picture, set to stop being your profile picture when the party ends. Apparently, 26 million people used the rainbow feature for their profile picture in support of LGBT rights when gay marriage was legalised in the US. Facebook seems to have taken into account that there are multiple people who haven’t turned it back from the rainbow, and seem to be giving people the option to set a timer on it. Of course, the drawback is that there will be people who go overboard and change their profile pictures as often as Facebook statuses, giving you updates of every meal they eat and every single thing their dog or baby does. But we choose to look at this as an excellent way to find out how many people to put on ‘restricted access’.